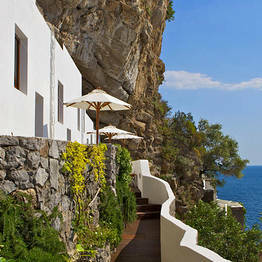 Perched on the cliffs directly above the sea surrounding the historic fishing village of Praiano, in the heart of the Amalfi Coast, Casa Angelina has been conceived as "contemporary lifestyle hotel", in which guests are invited to experience the very best in modern design, art, cuisine, and wellness facilities, surrounded by some of the most beautiful scenery in the world. 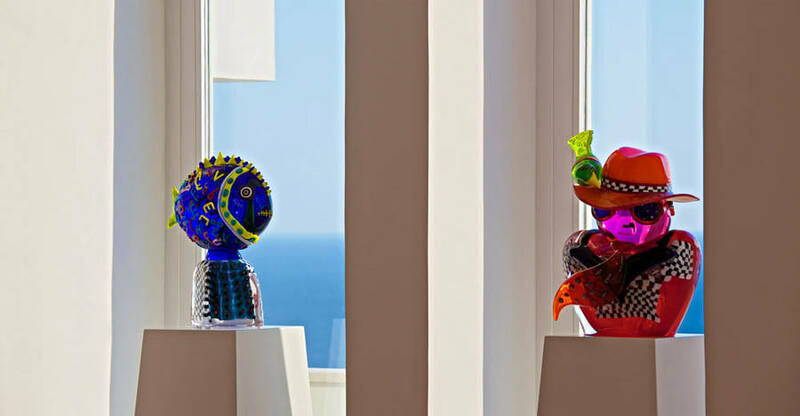 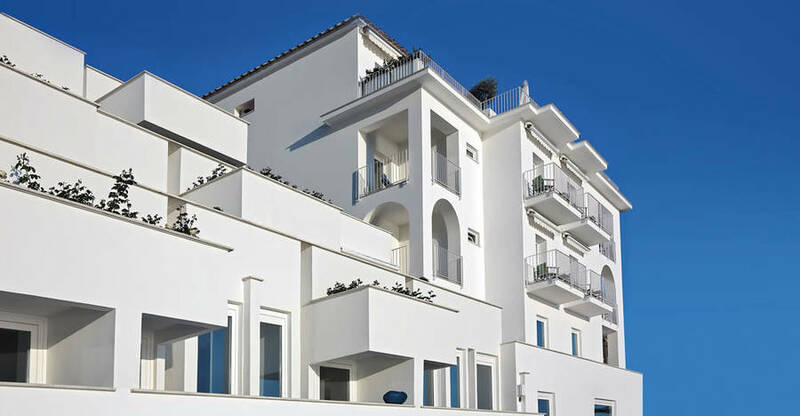 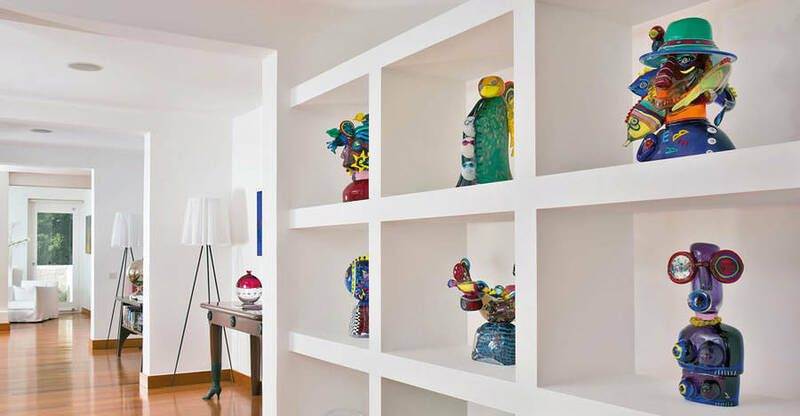 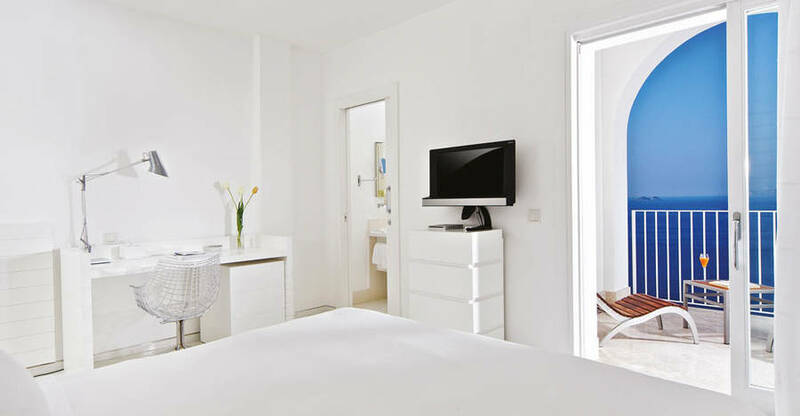 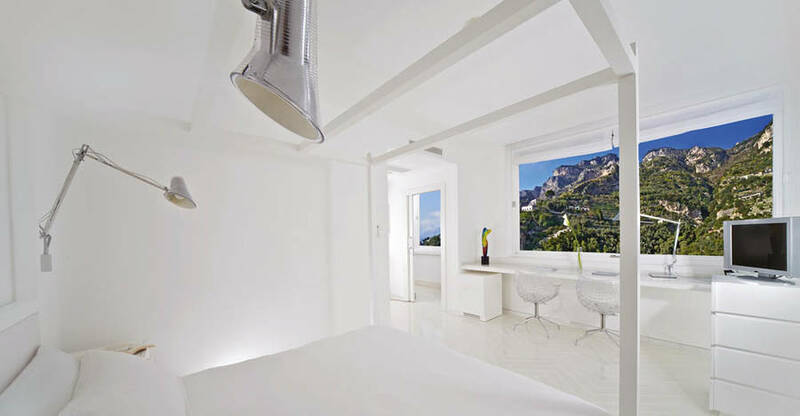 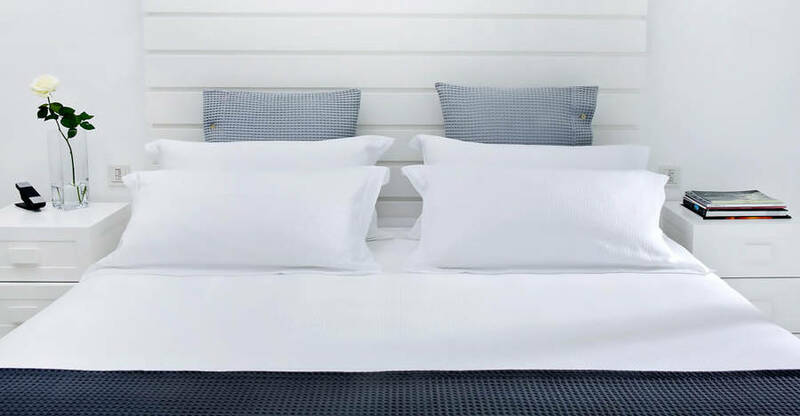 Sleek, functional, hi-tech and... white, Casa Angelina's minimalist interiors represent the ultimate in contemporary Mediterranean elegance and provide the perfect display space for the hotel's stunning collections of modern art. 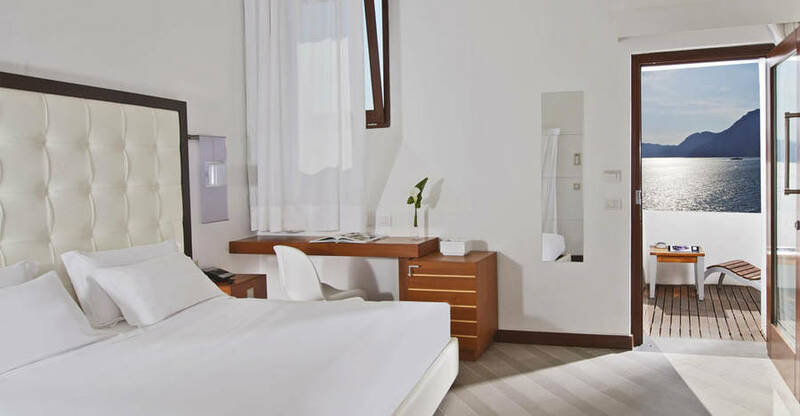 The hotel's stylish bedrooms and suites are filled with the light which pours in through immense floor-to-ceiling windows. 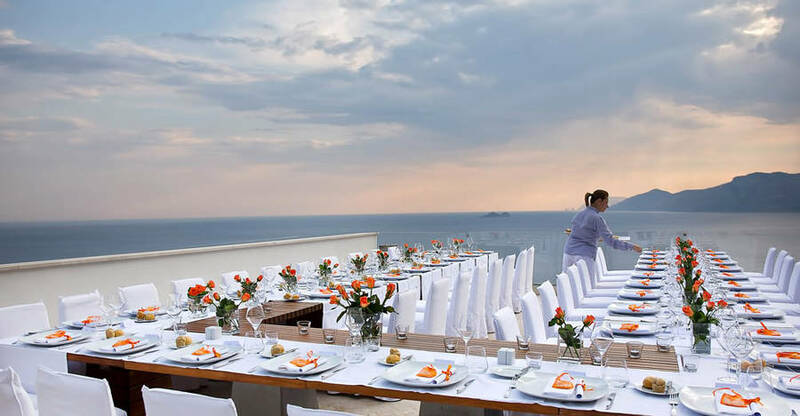 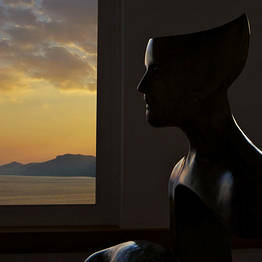 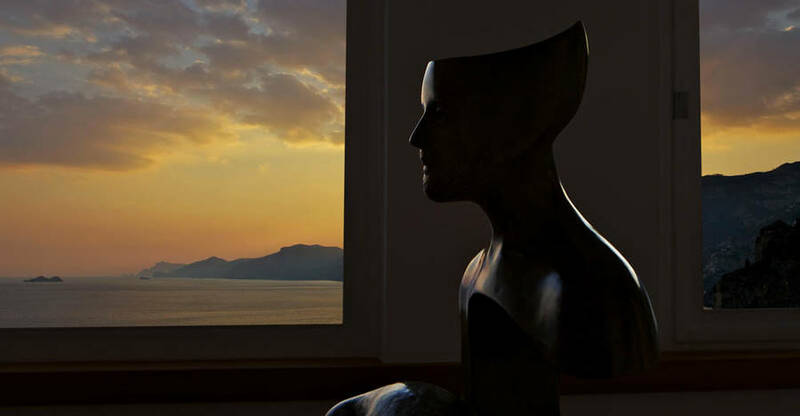 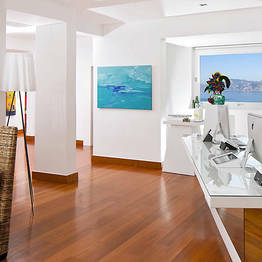 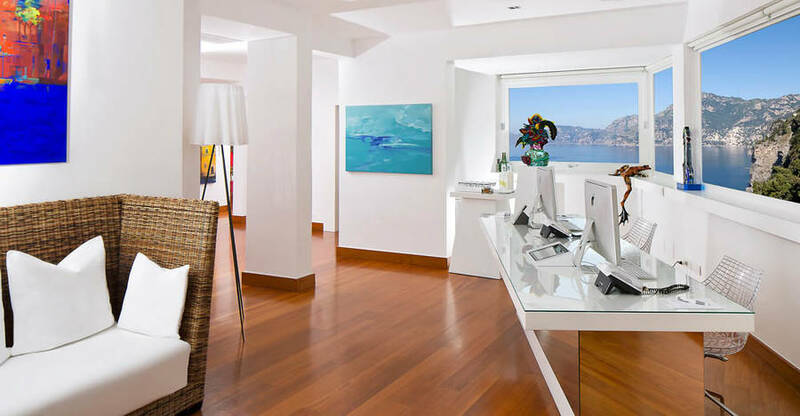 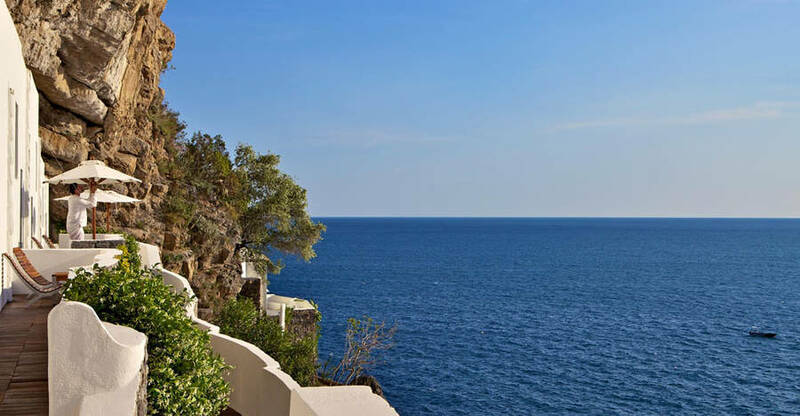 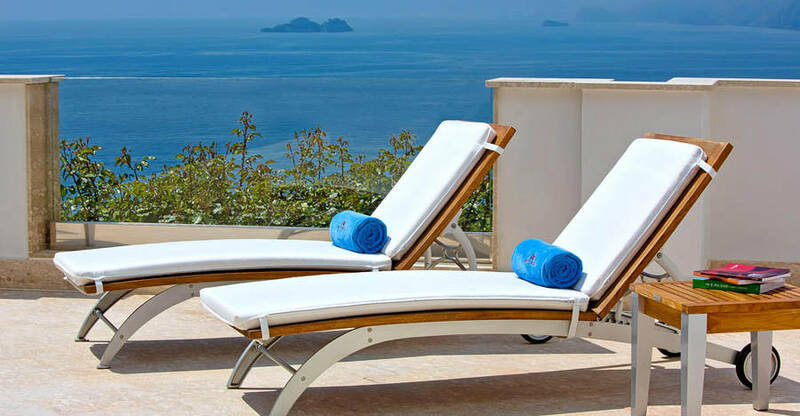 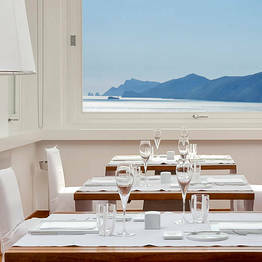 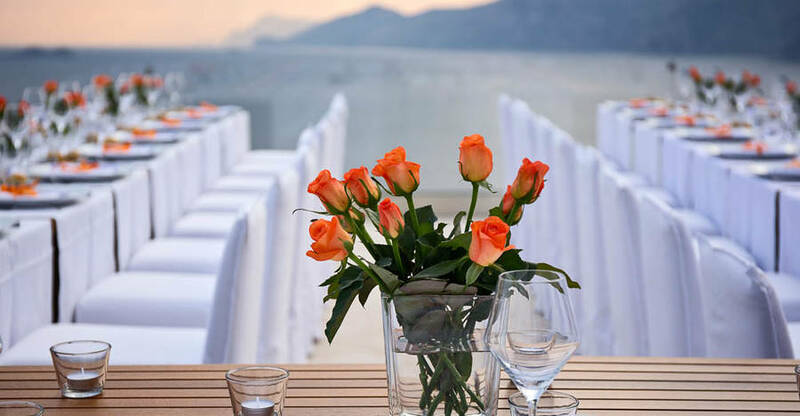 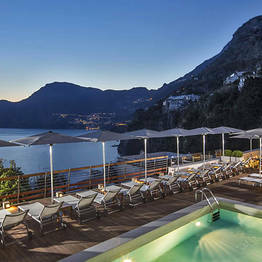 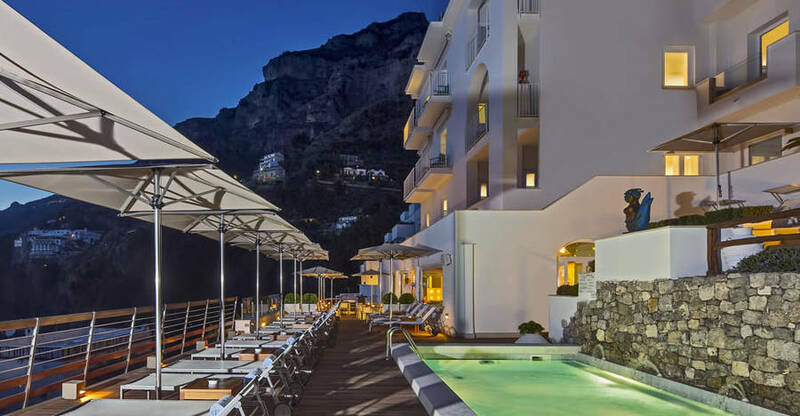 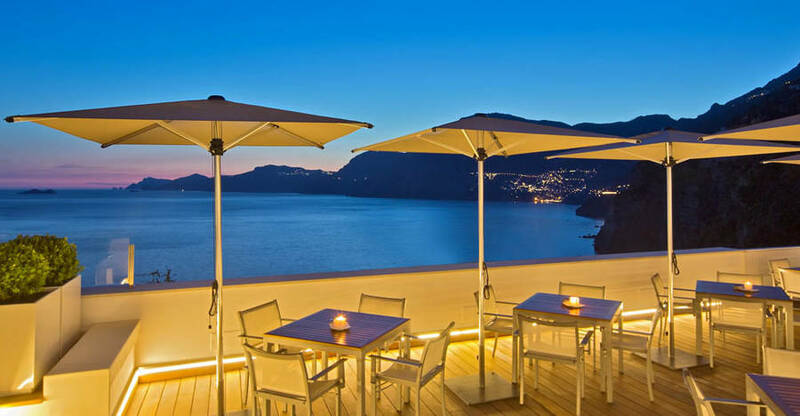 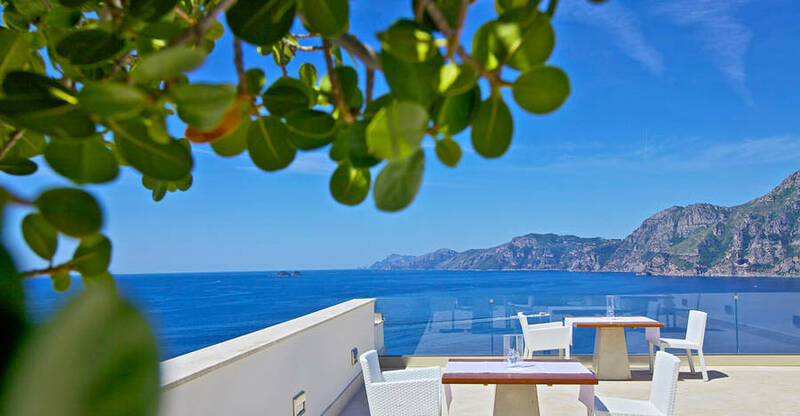 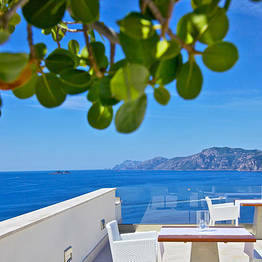 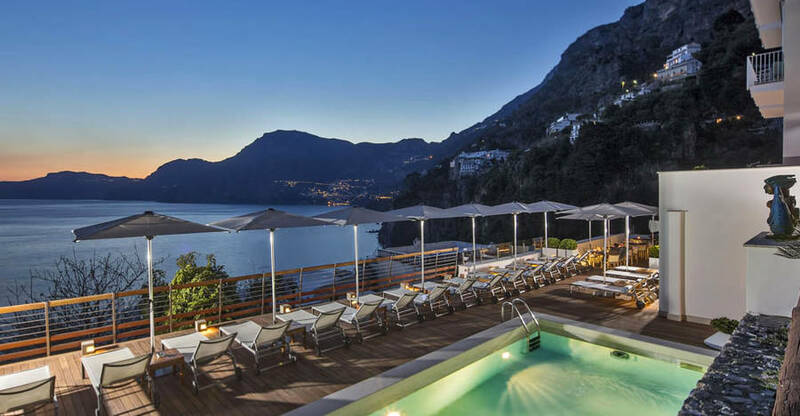 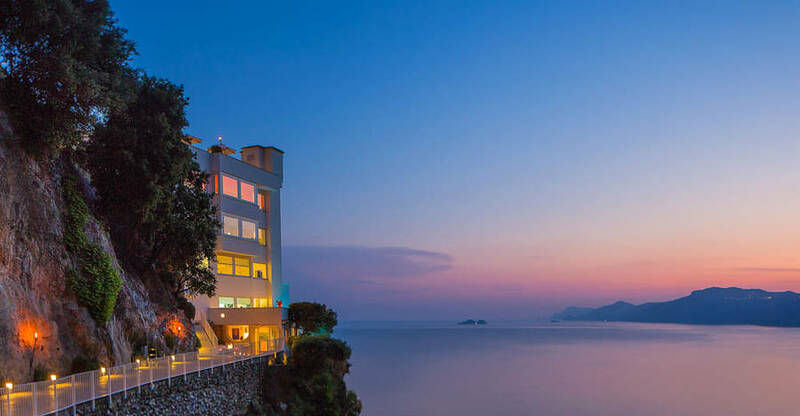 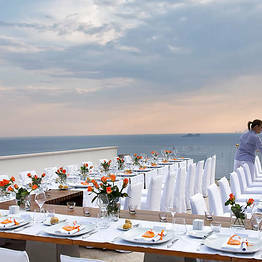 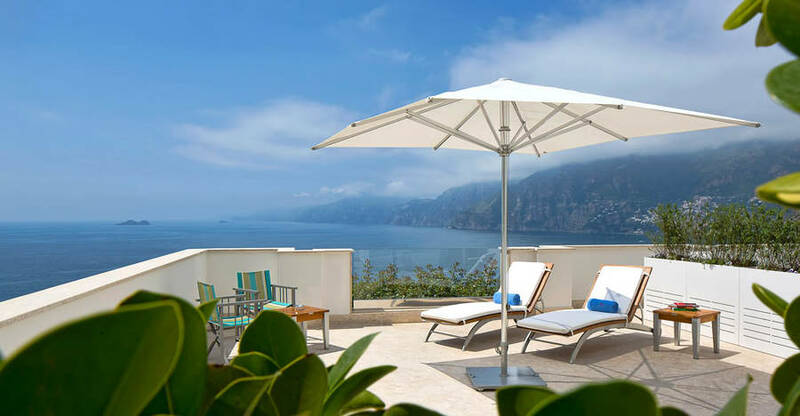 From the 30sqm terrace of the much sought-after Junior Suite with sea view, a magnificent view of Positano, the bay of Salerno and the Island of Capri can be seen. 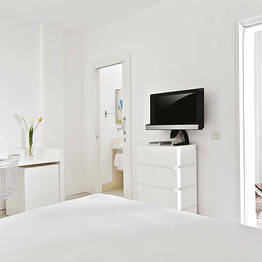 LCD televisions and internet connectivity are standard facilities in all rooms. 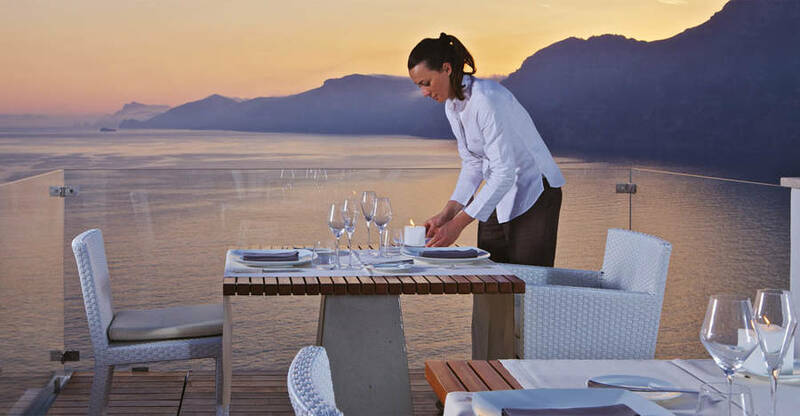 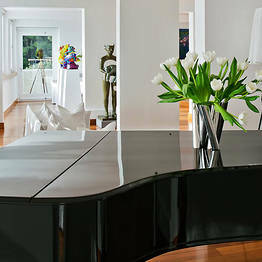 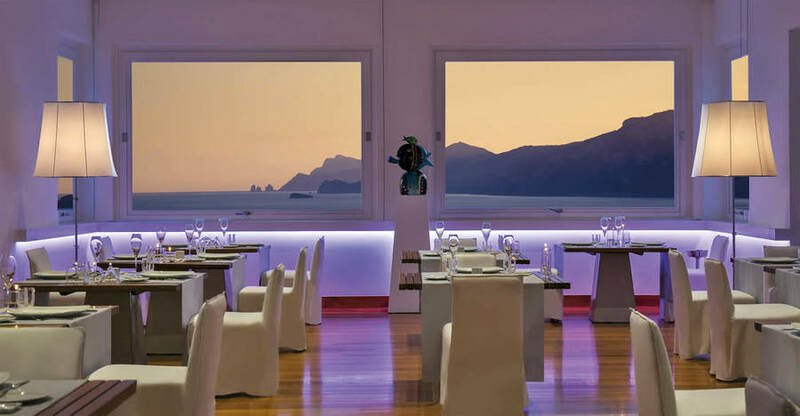 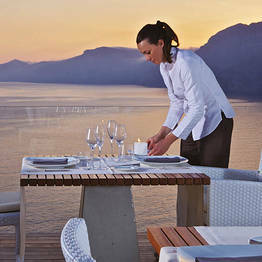 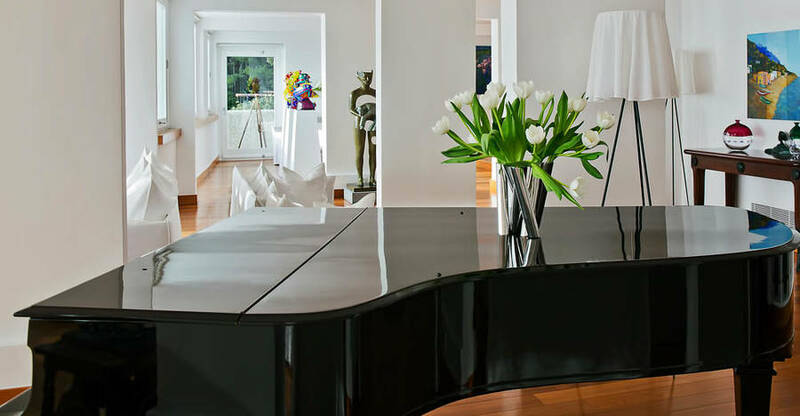 The hotel's "Un Piano nel Cielo" restaurant attracts gourmets from far and wide with its innovative and exquisitely presented local cuisine and faultless selection of wines. 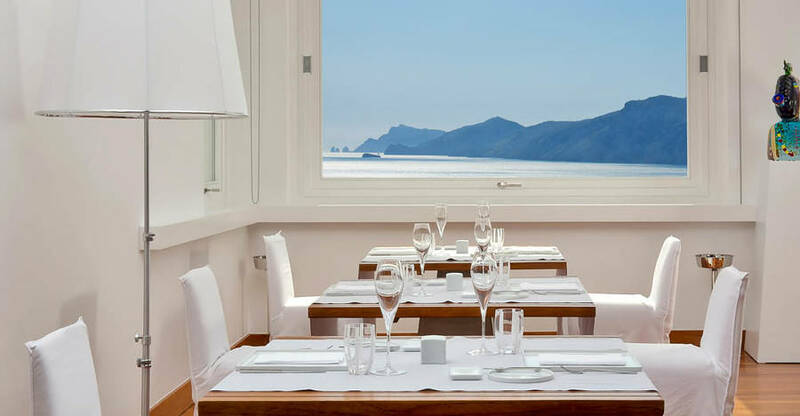 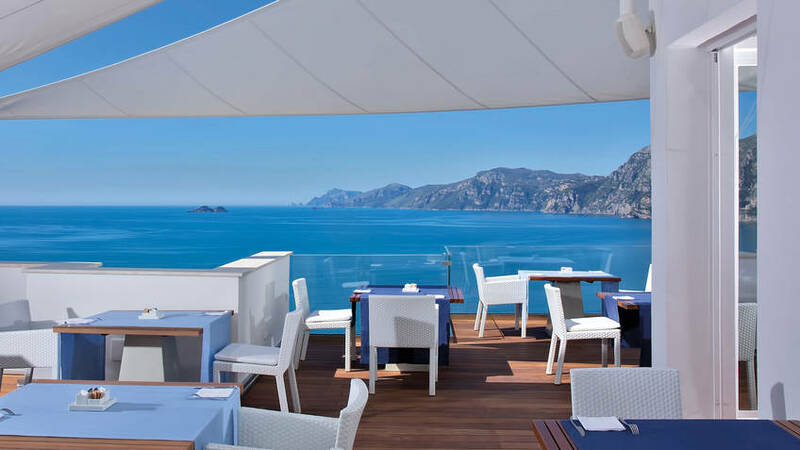 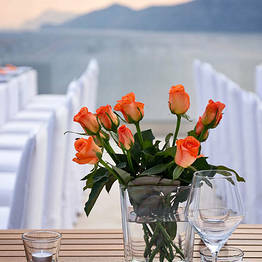 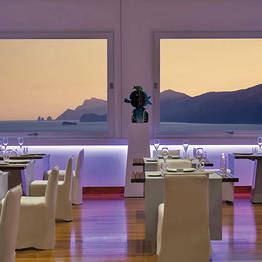 The views from the dining room and the tek-floored terrace are as unforgettable as the food. 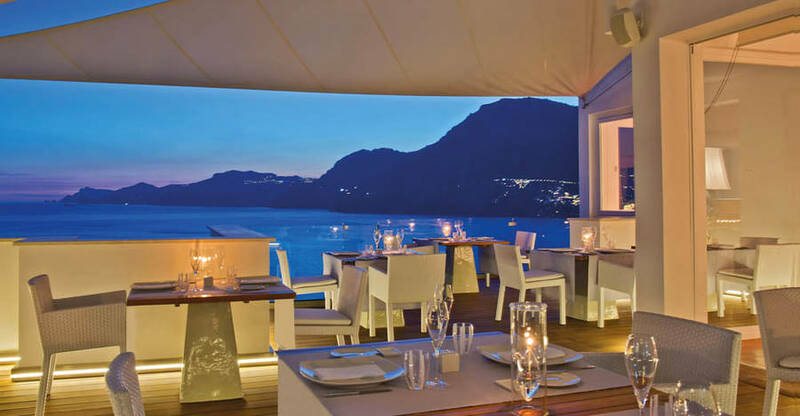 The Bar Marrakech provides the perfect venue in which to enjoy a cocktail amongst friends. 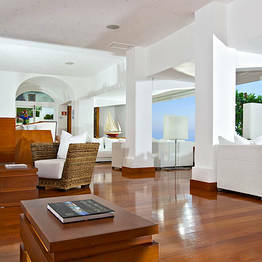 Casa Angelina's wellness center is equipped with Techogym appliances and an indoor hydromassage pool. 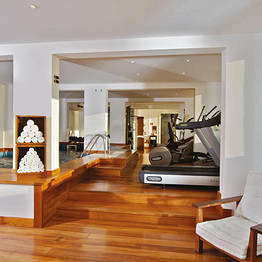 An excellent range of spa treatments are available and, on request, guests can book Pilates lessons. 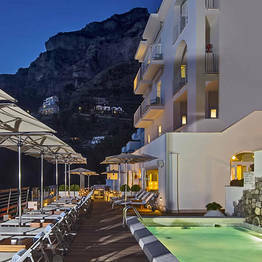 Sun worshippers are likely to spend hours lazing on by the outdoor swimming pool or on the hotel's private beach, this latter accessed via a panoramic glass elevator. 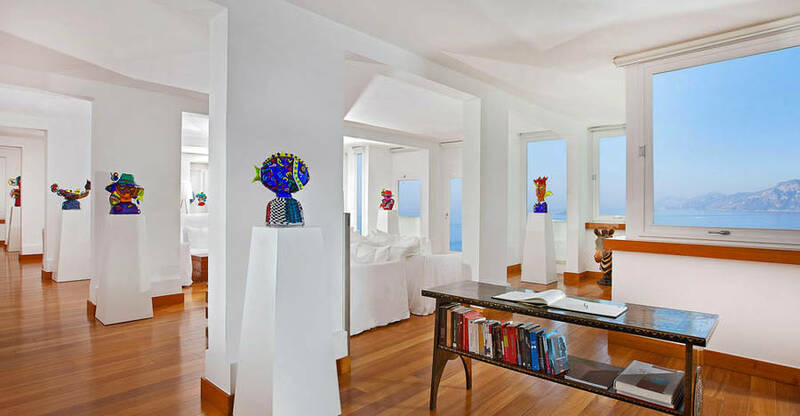 Casa Angelina is located in the little town of Praiano, between the ancient watch towers and the tiny hidden bays which characterise Italy's legendary Amalfi Coast. 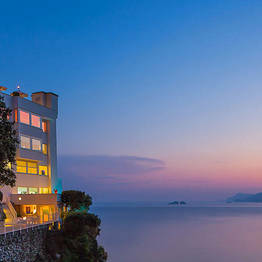 The hotel is situated 50m above sea level. 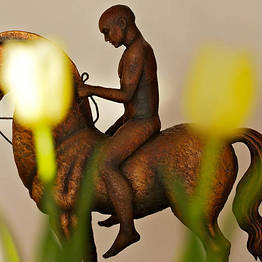 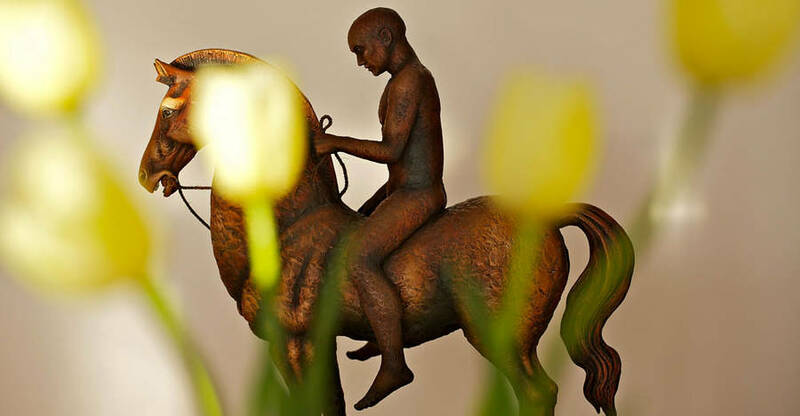 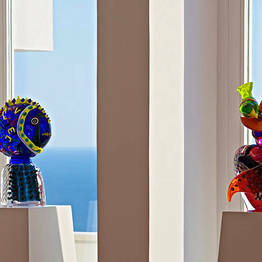 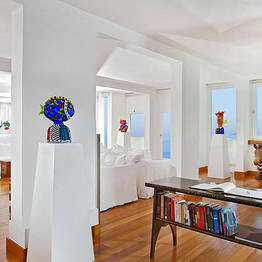 The center of Praiano is just a few minutes away. 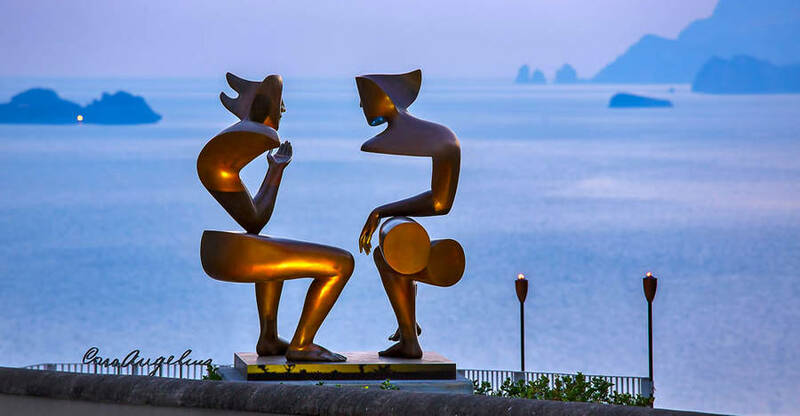 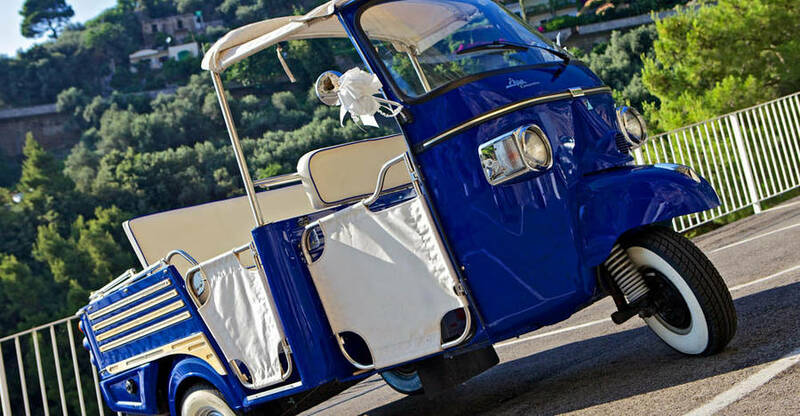 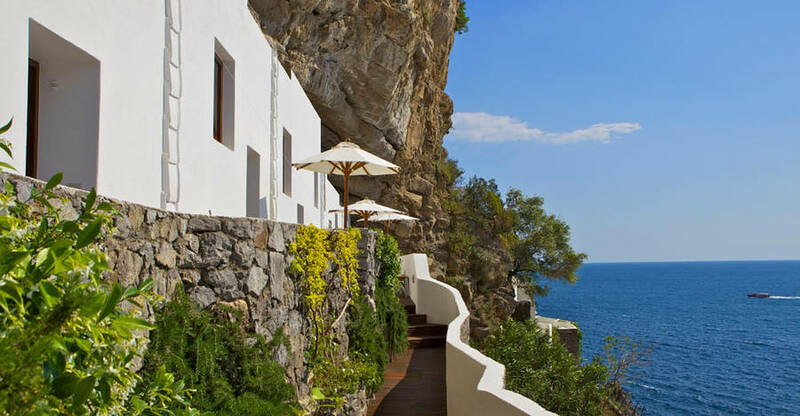 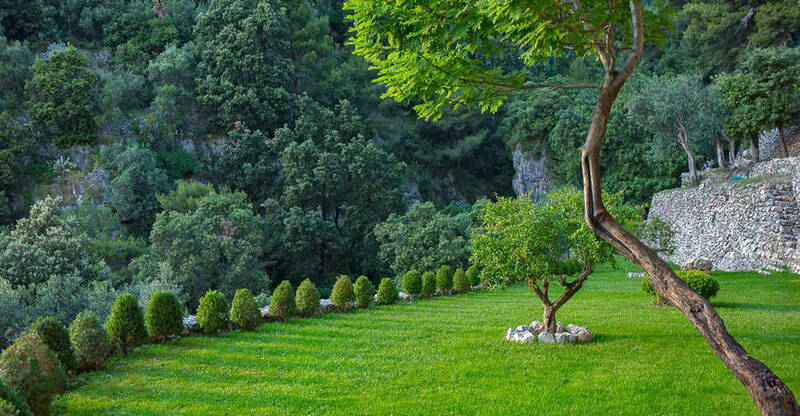 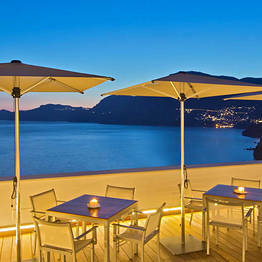 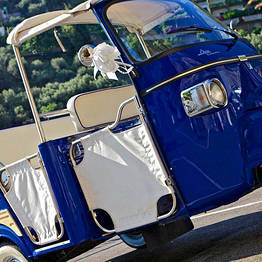 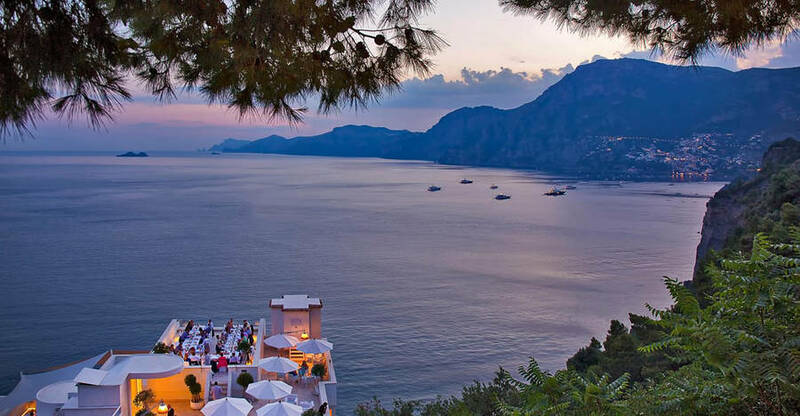 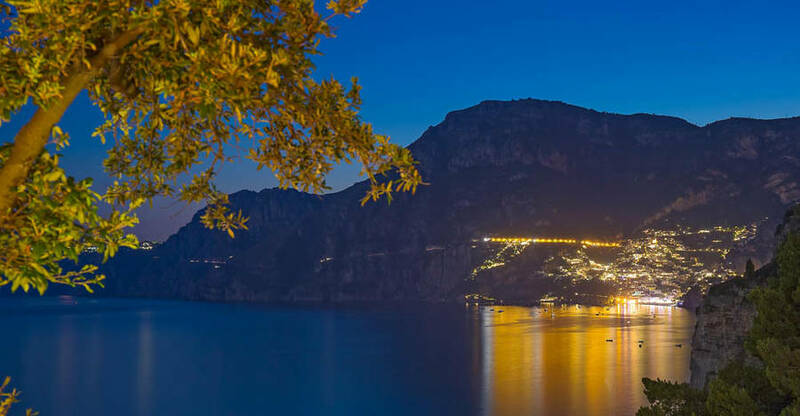 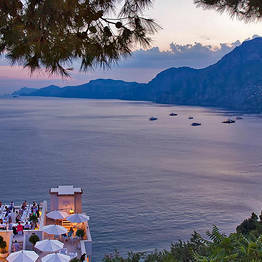 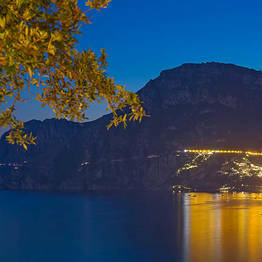 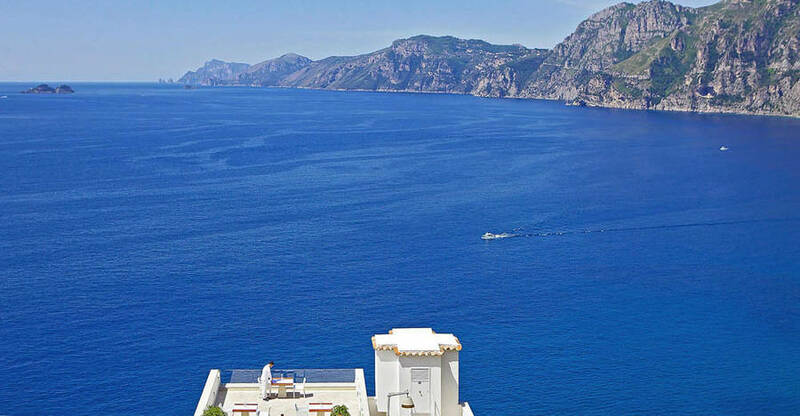 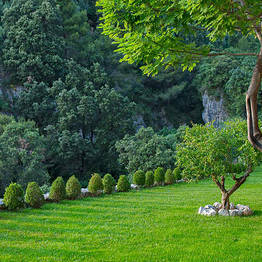 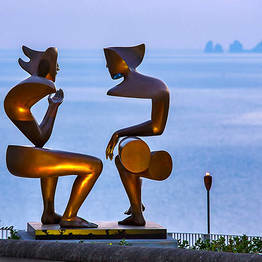 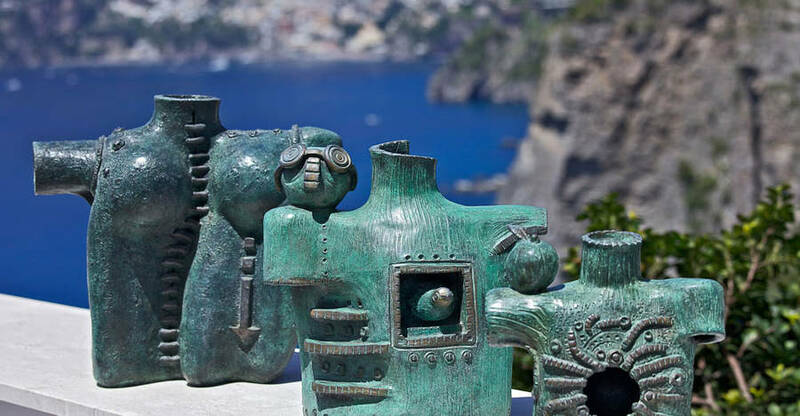 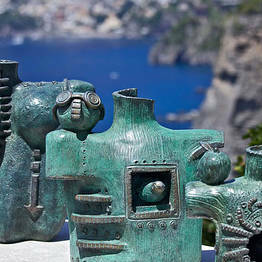 The towns of Amalfi, Positano, and Ravello are all within easy driving distance. 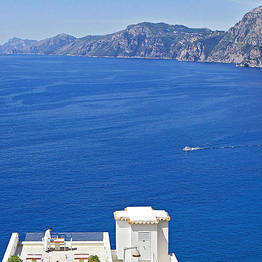 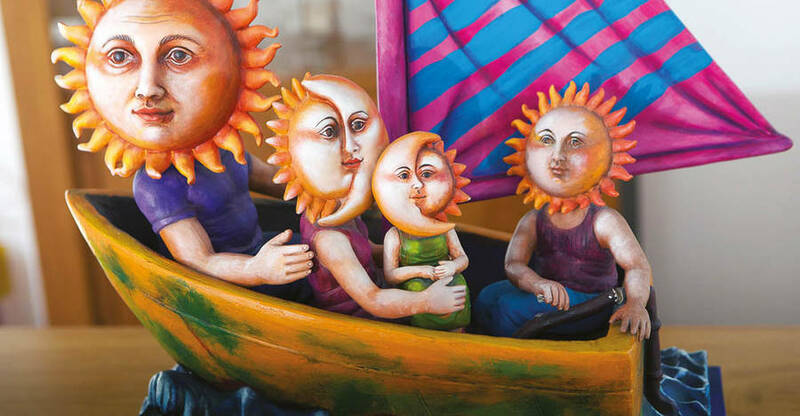 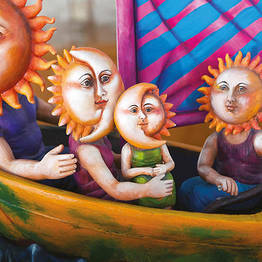 Other nearby destinations perfect for a day trip include Sorrento, Herculaneum, Pompei, Naples, Salerno and Paestum. 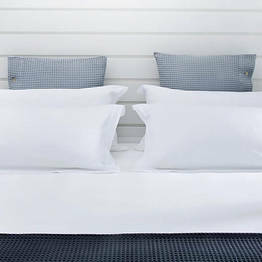 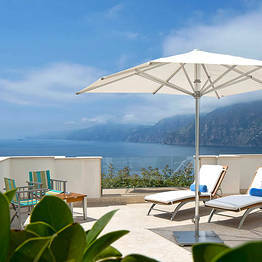 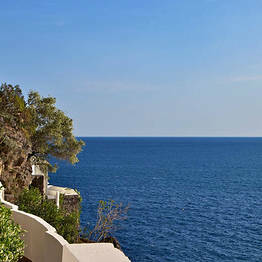 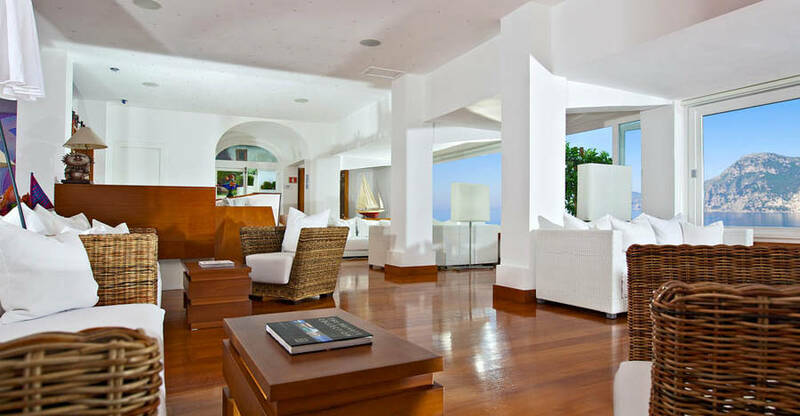 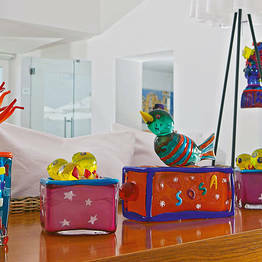 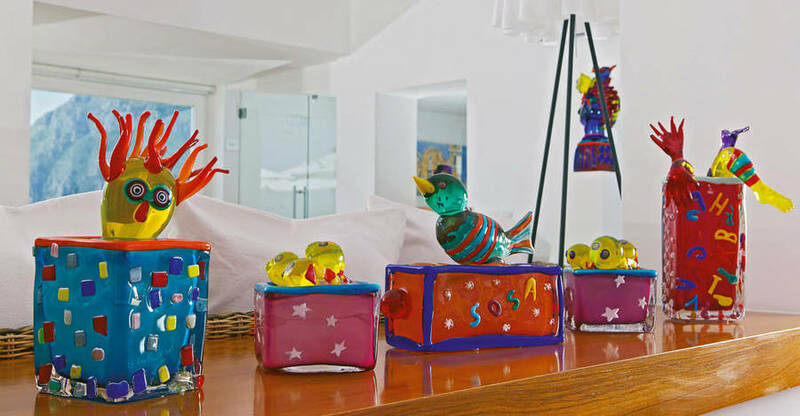 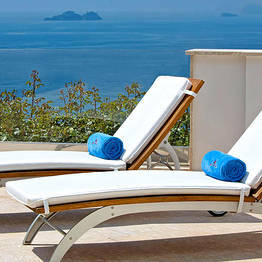 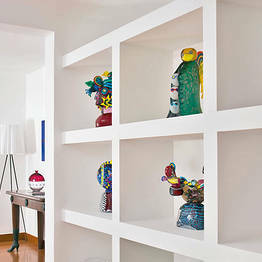 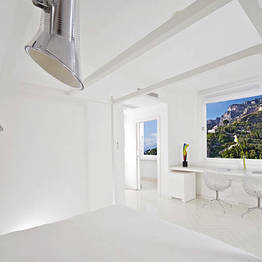 Book Casa Angelina on Positano.com now with no additional booking fees.